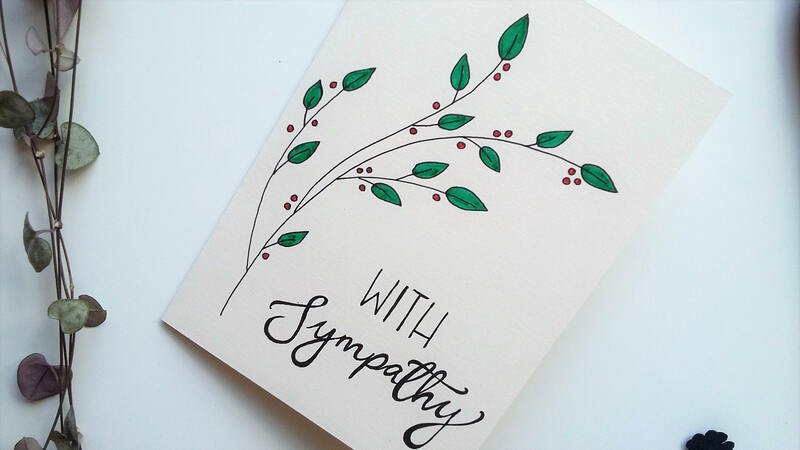 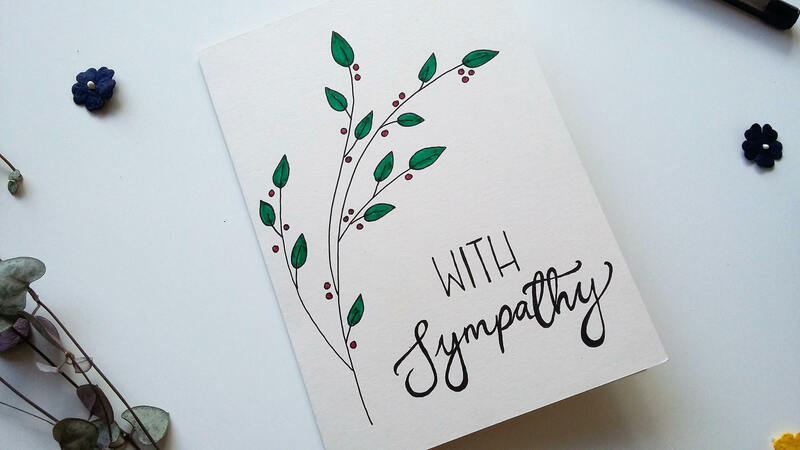 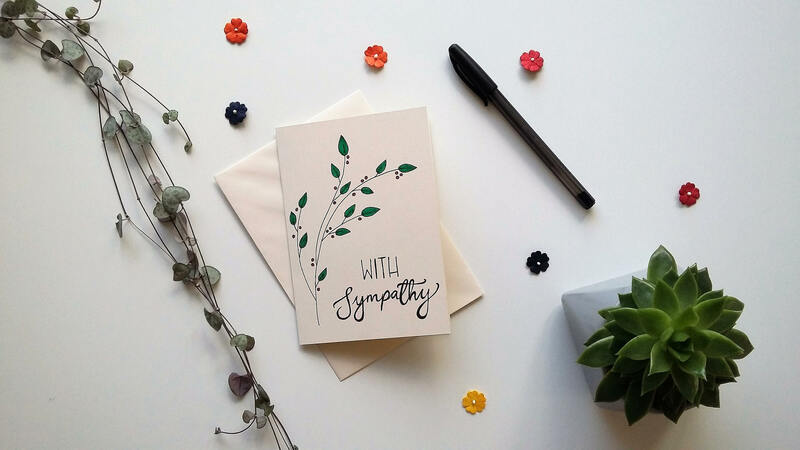 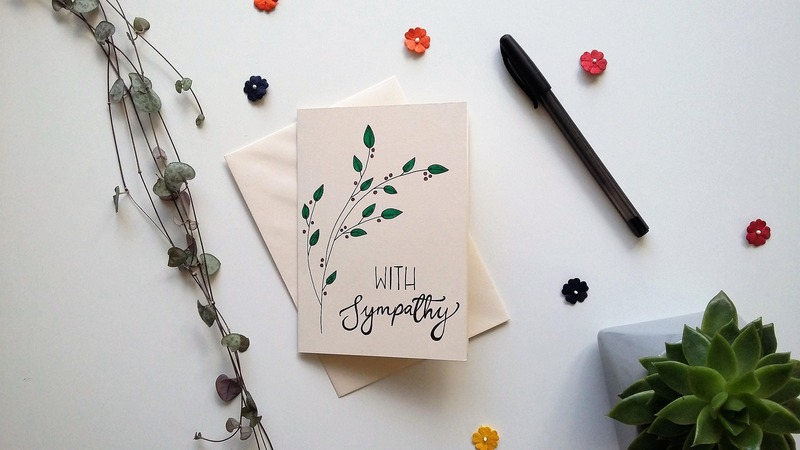 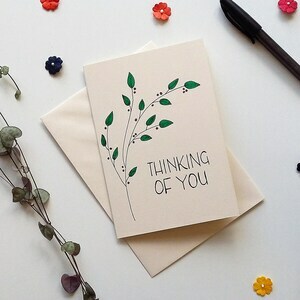 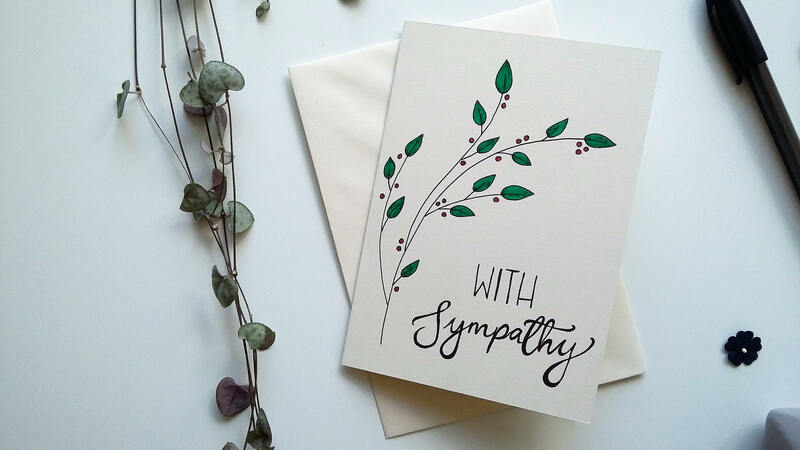 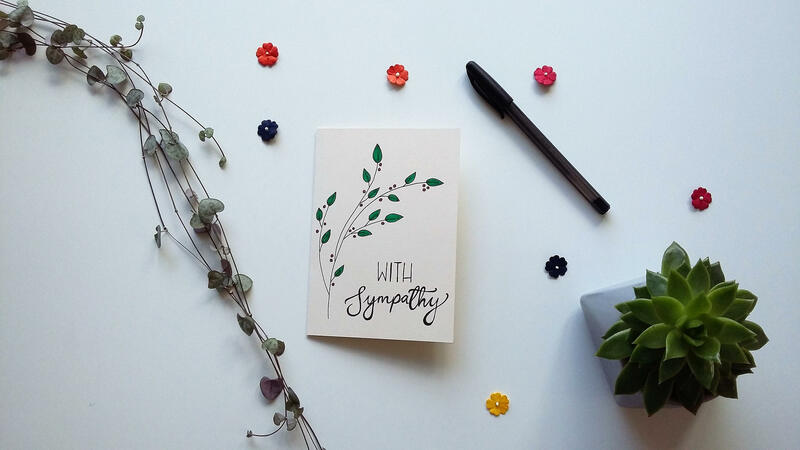 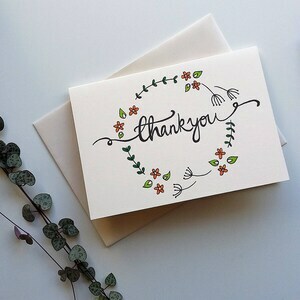 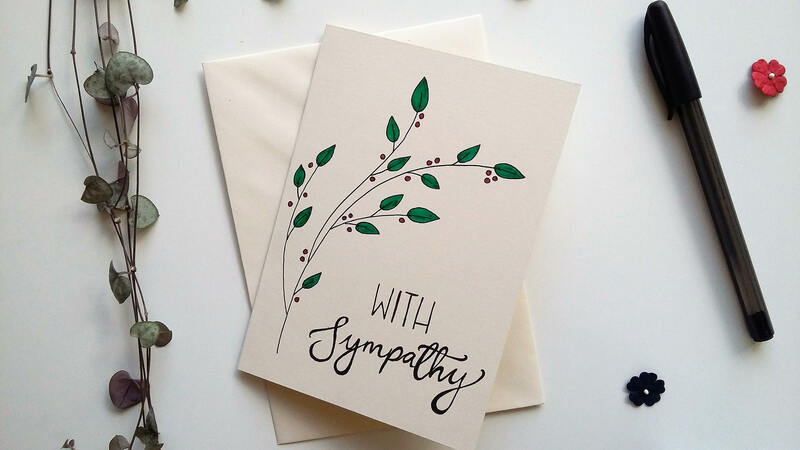 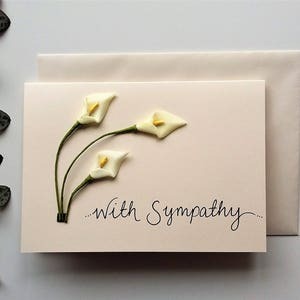 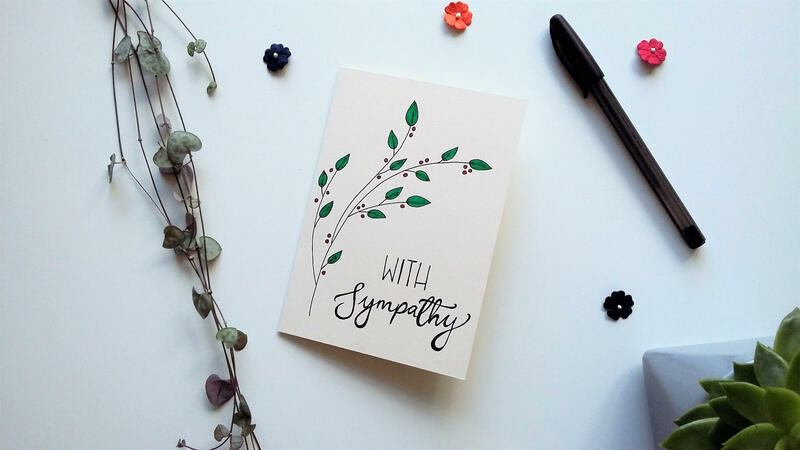 The greeting card features delicate pen-drawn leaves across the left hand side of the card, and the message 'With Sympathy' in mixed modern typography. 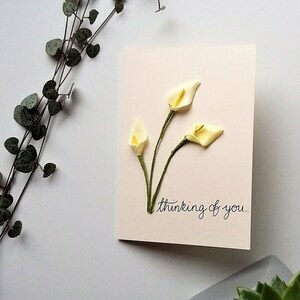 The ideal card to send your thoughts and love after a bereavement, and let family or a friend know they're in your thoughts. 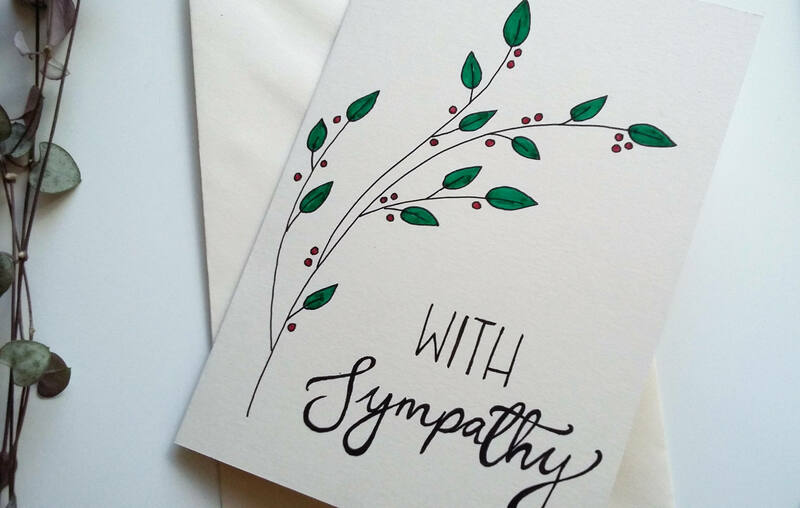 Delicate design on unusual condolences card.